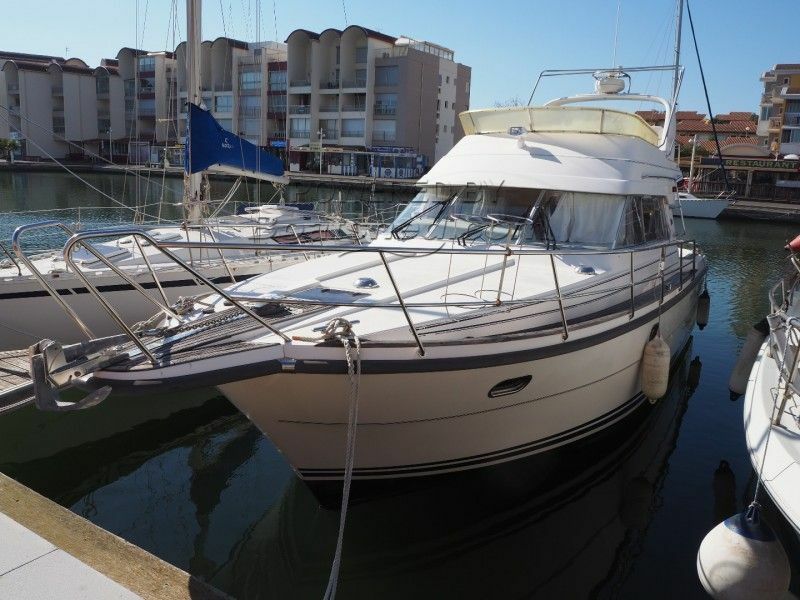 A well cared for and immaculately maintained Nimbus 380 Carisma with many extras that include remote controlled anchors and passerelle, plus all the navigation devices required for safety, luxury and comfort at sea. High quality materials throughout including teak decks, superb master suite, large saloon area, spacious flybridge and a second helm. All this gives luxury travel and long periods of living on board. Presently moored in a modern and secure marina with the opportunity of renewing the mooring agreement, by applying direct to the Capitainerie. This Nimbus 380 Carisma Flybridge Cruiser has been personally photographed and viewed by a representative of Boatshed Sud Med. Click here for contact details.